Creating class pages can be fun and rewarding. Below there will be a list of resources and tools to use when planning your own class page. As always feel free to contact Ms. Ruiz for help or search the internet for additional resources. 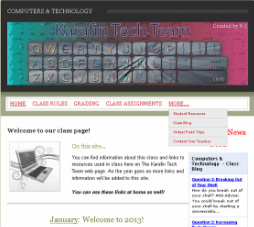 Why create a class page?